One of the first things you learn in any American history class is the fundamental importance of our nation’s constitution. This founding document has laid the groundwork for how the United States operates to this day, from the rights to which we are entitled as citizens to the role of government in our lives. My career path took me to positions as a Florida Supreme Court justice and a federal appeals court chief judge, and I simply could not have gotten there without the rights enshrined in the constitution. Equally important, is Florida’s state constitution. The Florida Constitution operates similarly to our nation’s constitution, outlining the structure of our government and our freedoms. But the Florida Constitution has one very significant difference: Every 20 years, a 37-member Constitution Revision Commission is convened to conduct a thorough review of the state charter to determine what changes may be best for our state. Starting in February, the commission will travel the state, holding public hearings to gather input from the Florida residents about changes to our constitution. Awareness about this, participation and voting are key to protecting our democratic process. The commission is composed of individuals appointed by the Governor, the House Speaker, the Senate President, and the Chief Justice of the Florida Supreme Court, along with the Florida Attorney General. Members can develop their own proposals and have reviewed hundreds of ideas submitted by Floridians suggesting changes they would like to see made, from the use of tax dollars to gun rights. The commission’s proposed amendments go directly to a statewide ballot next November. This is a significant amount of power placed in the hands of small group of Floridians, and their decisions and actions can make a substantive impact on the state in which we all live. The Florida Constitution can be amended in more ways than any other state’s constitution, which is a double-edged sword. 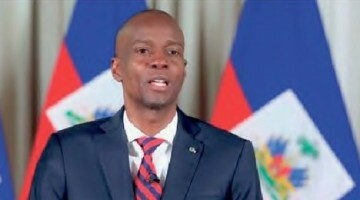 It means that necessary changes can be made as needed, but it also means it can be comparatively easy for provisions to be added to the constitution that do not truly belong there. With our constitution wide open in the revision process, it is vital that each amendment be considered with caution. As a long-time judge, I see the separation and balance of powers as the most essential part of our democratic form of government. Without it, one branch of government could attempt to run roughshod over the other two, destroying the balance that our nation holds so dear. The judiciary is the lone nonpolitical branch under our system, and was built to be fair and impartial. If amendments are added to our constitution that do not uphold that standard, it will unduly tip our delicate balance. When Florida’s voters consider the amendments that eventually are placed on the ballot, they should apply several tests to each. Amendments should be timeless; if they concern topics that will be out of date or irrelevant in the future, they don’t belong in the constitution. If they set specific policy, apply only to a small number of Floridians, or will create more problems than they fix, they have no place in the constitution. I urge Floridians to amend the Florida Constitution only with caution. Our democratic form of government is rooted in the delicate balance of powers, and to upset that balance would be detrimental to Florida and Floridians on many levels. In November 2018, when it comes time to vote, take a moment to consider the ramifications of each amendment you vote on. It could have a direct impact on you, and the people and things that matter to you, for years to come. 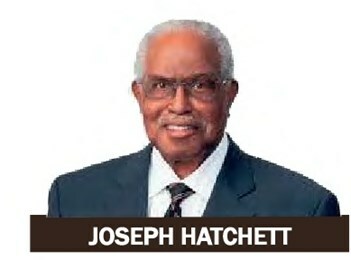 Joseph Hatchett was the first black man elected to the Florida Supreme Court and invites Floridians to learn more about the constitution revision process at protectfldemocracy.org.